Gesamt - an open invitation to people around the globe. – (Gesamt, ge•samt, adj, attr whole, entire - die gesamte Familie all the family, the whole or entire). What happens when a master challenges the people? Danish cinema's most famous film director is asking people around the globe to reinterpret six great works of art through the lens of their camera or recording of sound. 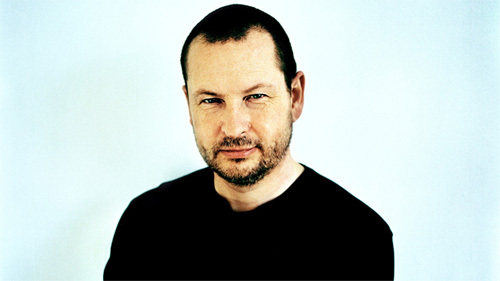 It is the master himself, Lars von Trier, who has set the rules of this groundbreaking, user-generated film project Gesamt. But it's you, me and everyone else who are asked to create the material, while the director Jenle Hallund puts it all together in the end. What is the result when people reinterpret the great and controversial art pieces of our time? Is it for everyone to make art? What is art? And do we stand out the most when we stand together? GesamtTeaser.EN. from Gesamt Film on Vimeo. Gesamt is both a provocation and an invitation. By bringing together material from people around the world, we have the opportunity to create a film that has the potential to push the limits of what art is, can and should be. A film that examines what happens when we interact with each other and the space around us. Participants may shoot up to five minutes of material, do so several times, and send their material to Gesamt before September 6, 2012. Technical skills are not the biggest priority - originality and enthusiasm are much more important. Selected material will be put together into a larger whole by the Danish film director Jenle Hallund. She has previously collaborated with Lars von Trier, and in 2011 she won a Danish film award Robert for the Long fiction / Animation film of the Year as co-director for the film Limbo Land. “This project is interesting because it is based on ordinary people's creativity and imagination. Therefore It has the potential to reveal the health of a civilization by exposing its soul. Together we can try and create a cacophonous testimony of the human conditions greater purpose than power and profit.. When these great works are filtered through the body and mind, what do we end up with? Regimentation or revolution? Bigotry or innovation?" asks Jenle Hallund. Everyone who wishes to participate can draw inspiration from one or several of the selected six art pieces: James Joyce's work Ulysses, which once was banned in the United States because it was seen as obscene and lewd. Or one can be inspired by August Strindberg's famous play The Father, which still stands as a striking example of a dysfunctional family. Then there is the somewhat more controversial monument the Zeppelinfield in Nuremberg, created by Hitler's main architect Albert Speer. You can also choose the painting Where do we come from? Who are we? Where are we going? by the French painter Paul Gauguin, or you can listen and interpret the French composer César Franck's improvisations. And then, last but not least, you may choose to be inspired by Sammy Davis Jr., who stepped himself into the hearts of people through song. The concept gesamtkunstwerk can be explained as 'the universal work of art' or 'synthesis of the art'. It refers to a piece of art that has been made up of many different types of art. Film is one of the only types of media which can accommodate several types of art forms at once. By using the idea of Gesamt in a user-generated film project we are taking the concept one step further: A universal work of art is not only created by many different art forms but also by a diversity and multitude of people. What the result of Gesamt will be, no one knows - yet. There is no script, just a cinematic experiment that gradually comes to life by people, thoughts, images and sound that merge into each other and form new meanings and constellations. The final work, which will premiere on October 12, 2012, is a reflection on our time and the people who live in it: a community masterpiece. Note: Early submissions are greatly appreciated. Gesamt will premiere: October 12, 2012 at Kunsthal Charlottenborg in Copenhagen. Gesamt is produced by the Copenhagen Art Festival. Copenhagen Art Festival is an international festival of contemporary art organized by Charlottenborg, Nikolaj Kunsthal, The Free Exhibition Hall, Overgaden Institute of Contemporary Art and the Art Association GL STRAND in collaboration with the festival secretariat. The festival opens 24th of August and continues throughout the fall.